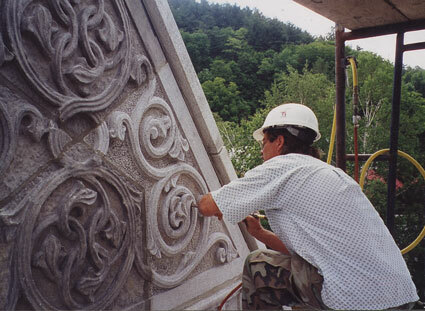 Descripton: I've had a lot of experience building and restoring stone and masonry buildings. 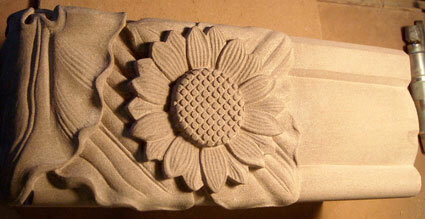 I fabricated and set a lot of dimensional stone during the years I worked in the field. I cracked open many a building not completely knowing the extent of the problems I'd find. Strangely, that's what I enjoyed about it. Often I would ask advice from the old timers who had experience in my field. Now most of the men I consulted with are gone. Now I prefer the studio, but there is no reason why architects and builders cannot benefit from my experience. Too often while working as a stone setter I would receive material that we would never have let out of the shop at the Vermont Marble Company, where I worked in the 70's. It was infuriating, and I've gotten calls from contractors to come in and fix the mess they were handed. The standards have slid and it costs the owners money in the end. A lot of imported materials have flooded the market and in order to compete, domestic fabricators are tempted to cut corners. I know the way fabrication should be done and where it is still done the old way. I'm always suggesting to contractors that they let me check what they have ordered before it is shipped. Once a couple of truck loads of stone are rejected it's amazing how fast the quality goes up. It was standard operating procedure years ago and it would only improve the industry today. If worse comes to worse and expert testimony is in order I provide that as well. Then there is the high end carving and statuary which, because of age and abuse has it's own needs. Sometimes this is exacerbated by well intentioned but misguided efforts to save it. These days this is such a specialized problem that unfortunately, very few people have the qualified knowledge to deal with it properly. I've enjoyed good results including the replacement of partial losses such as wings and hands with new attached carving that matches the original style. If it is too far gone and the only humane thing to do is take it down, I can duplicate it. Let me help. I still enjoy a challenge, and I want to preserve my industry.